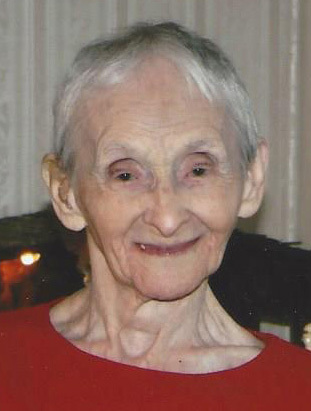 Yvonne R. Phaneuf 98, formerly of Crepeau Court and a resident at The Friendly Home for the past eight years, died peacefully on November 26, 2018 with her family by her side. She was the wife of the late Ernest L. Phaneuf with whom she had been married for forty three years. Born in Woonsocket, she was a daughter of the late Joseph and Rose (Chamberland) Beauparlant. In her youth Yvonne worked as a spinner at the former Murray Worsted Co. For most of her life she was a homemaker and devoted to the care of her family. She was a member of the Crepeau Court Social Club. Yvonne enjoyed word search puzzles and bingo, but her greatest joy was spending time with her family. She is survived by her daughters Helen Fontaine and her husband Leo H. and Claire Phaneuf, her cherished grandchildren Debra Auger and Steven Phaneuf all of Woonsocket, a sister-in-law Clarice “Candy” Phaneuf and several nieces and nephews. She was predeceased by siblings, Leo, Emile, and Albert Beauparlant and Lucienne Roberge. Her funeral will be held Monday from the Fournier & Fournier Funeral Home, 463 South Main St., Woonsocket, with a Mass of Christian Burial at 10:00 AM in Precious Blood Church, Carrington Ave. Woonsocket. Burial will follow in St. Jean Baptiste Cemetery in Bellingham. Visiting hours are Sunday 2-4 PM.